One-bill convenience for your residents. 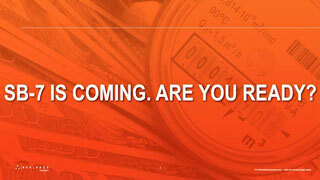 One powerful platform for your business. Uncover hidden revenue, boost collection rates, and increase NOI with the industry’s most advanced utility billing services platform. 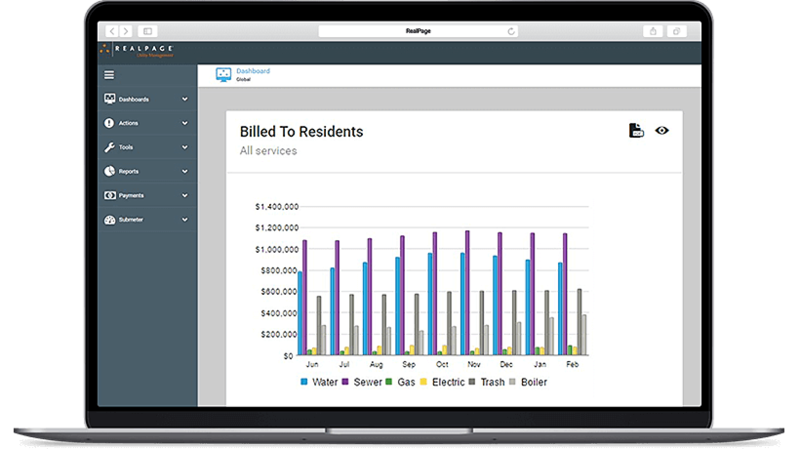 The RealPage Resident Utility Billing solution provides everything required to launch and manage a successful resident utility billing and cost recovery program at your multifamily properties. The RealPage resident utility billing platform gives you configurable options for convergent or utility-only statements and rent ledger. Resident OneBill delivers a statement bill to residents detailing their allocated utility charges and may include other line items for rent, amenity fees, balance carry-overs and any other charges reflected in their resident ledger for the month. This service sends a full-page statement bill (option for postcard with privacy seal) to residents, detailing their allocated utility charges. Monthly statement of calculated utility charges provided to residents each month with remittances of those charges processed via RealPage Payments rather than onsite staff. 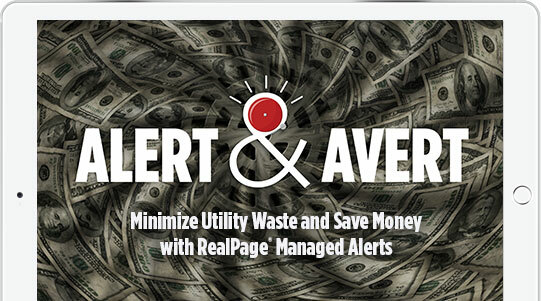 RealPage Utility Management delivers all common RUBS and submetering billing methods used across the U.S., as well as multiple methods at the same property (as needed). In fact, we make different property management software on different properties seamless. RealPage Utility Management interfaces with all major property management software systems, which allows us to automatically identify billable residents and upload accounts receivable (A/R) charges. Life is simple with multiple ways to generate and process final bills. This includes automated processes and the ability to generate them within other property management software systems such as OneSite. Include rent and utilities on one bill. Integrate billing with your property management system. Configure bills as you wish. We make it easy. RealPage’s redundant data verification process ensures that resident billing is fast and accurate, maximizing recovery. eBill and other billing and payment options are available so residents can process and pay rent and utilities as they wish. Assist both property managers and residents. RealPage offers the longest customer care hours in the business, available 7 days a week. RealPage’s in-house legal team is the largest, most experienced in the industry. Rest assured they are monitoring and responding to legislative activity to represent your interests. Our regulatory team maintains a national database of state, county and municipal laws, ordinances and regulations affecting submetering, billing, and energy management. RealPage’s regulatory legal team has extensive multifamily billing experience, so we know the methodologies that will improve your bottom line and resident satisfaction. RealPage ascribes to the highest data security and financial controls in the industry. This includes adherence with international, federal, state, local, Card Association and NACHA rules. RealPage maintains software interfaces to ensure that software upgrades go smoothly. With RealPage’s interface you manage your data directly from your property management software portal. Status Tracker is a real-time tool that syncs directly with the project management systems used by RealPage. You can see notes, schedule dates completed and respond to request for files. 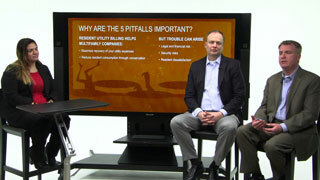 Utility costs are the 3rd largest expense for multifamily companies. Without a well-managed utility billing program, your properties’ utility costs and consumption can literally go through the roof. A well-managed resident billing program can help you increase recovery of these utility costs while ensuring you stay compliant with billing regulations. 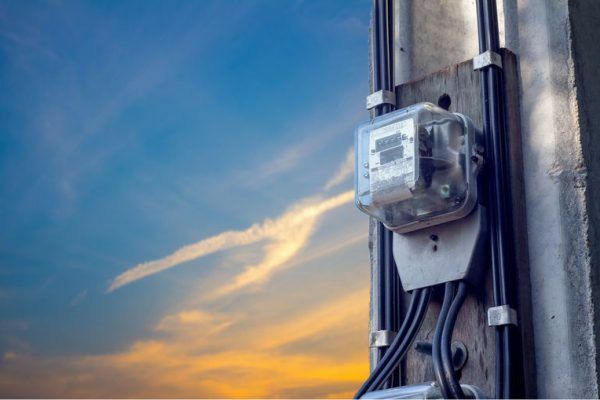 Learn how an effective utility billing program can increase net operating income, reduce water consumption and mitigate legal risk. How Equity Residential increased their overall utility cost recovery rate while saving significant time processing utility bills for over 300 properties. How Carter-Haston reduced apartment resident late utility payments by over 80%. Looking to cut utility costs at your properties while improving your “green” status? 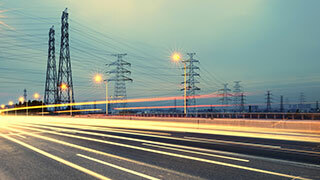 Learn more about the utility management data solutions available to you.